The shortlist for the fantastic Roald Dahl Funny Prize, which is celebrating its fifth birthday this year, was announced yesterday. 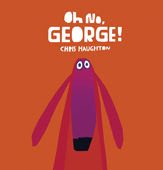 And... we're ecstatic to announce that our very own Chris Haughton is on the shortlist for his whimsical tale of George, the hapless dog who just can't behave! Well done to Chris (and to George!) You can see the full list of shortlisted books on the Booktrust website. If you haven't read Oh No, George! before, why not watch the trailer for it just to the right of this blog post? And if you have read it, tell us if you'll be rooting for it to win the Prize! 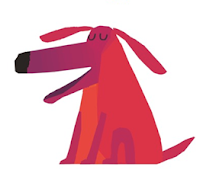 The Roald Dahl prize aims to promote laughter and humour as a feel-good factor when reading, to draw attention to funny books as readable and enjoyable books and to reward authors and illustrators who write and illustrate books using humour. Visit the Booktrust website to read what some of the judges, including broadcaster and comedian Mel Giedroyc and We're Going on a Bear Hunt author Michael Rosen, had to say about the shortlisted entries. great news well deserved! will keep my fingers crossed ! horray for george! Could you write the perfect bedtime story?